300 Appetizing Recipes to Keep Your Weight Down And Your Energy Up! 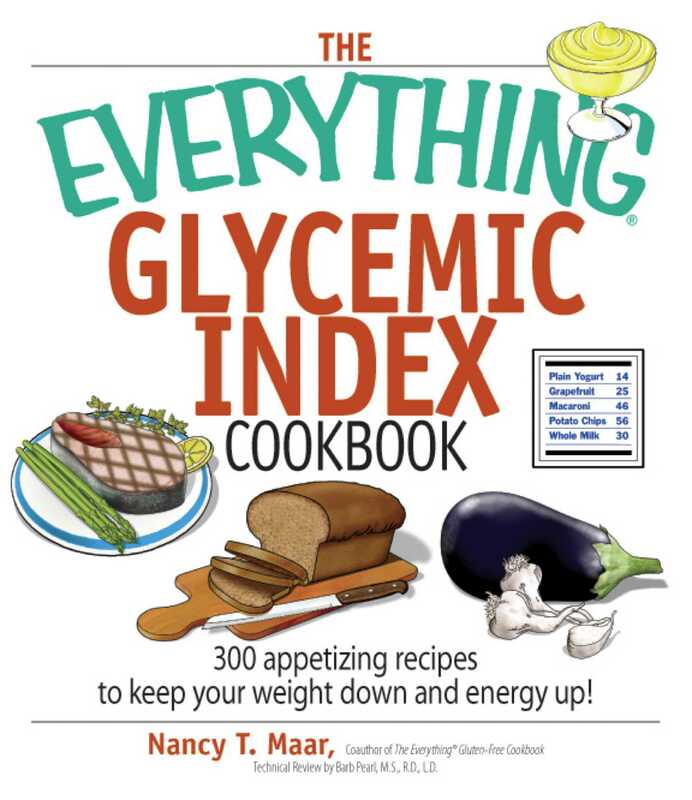 Packed with 300 tasty, healthy recipes, The Everything Glycemic Index Cookbook is designed to accommodate those watching their blood sugar levels. The glycemic index is a measure of how foods affect blood glucose levels, which in turn affects the rate of digestion. It's especially useful for those watching their weight, and those with diabetes who need to regulate their sugar intake. Using the nutritional information included with each recipe, readers can determine the amount of fat, carbs, calories, and protein in each serving, in addition to the glycemic load (the overall rating of ingredients on the glycemic index). The Everything Glycemic Index Cookbook is a handy tool for coordinating meals with dietary needs, creating a healthy diet, and achieving weight loss-not to mention good eating!